In Kematen/Ybbs, in the province of Lower Austria, we recycle cooling equipment in what are up-to-the-minute facilities and where approximately 300,000 units are treated per year in three-shift operations. An important aspect of sustainable circular economy is the correct treatment of defective electric appliances. Our plant located in Kematen/Ybbs makes sure that close to 95% of the materials contained in discarded cooling equipment is recycled as secondary raw materials. Materials such as aluminium, iron, copper, and plastics are extracted with great care and can be put to use in new products. Climate protection is yet another topic that makes our activity so important, for a single improperly recycled cooling unit means over a tonne of CO2 exposure. This is equivalent to an 8,000 kilometre drive in a private car! 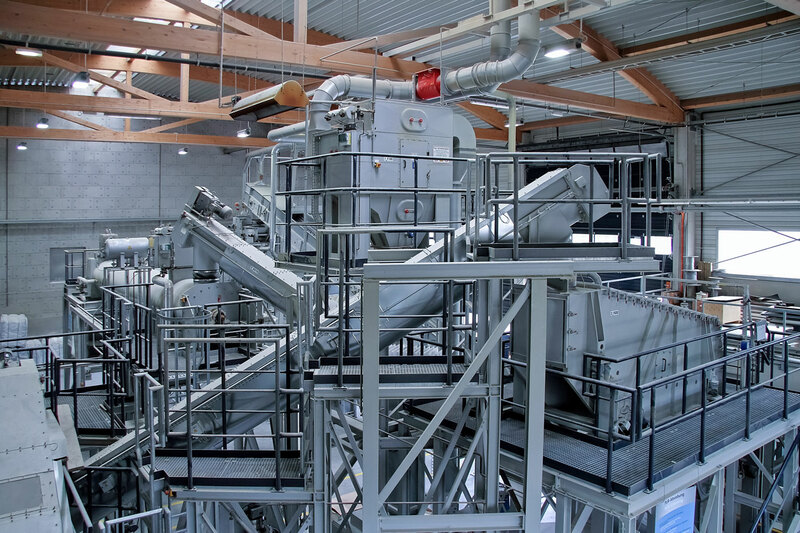 Our recycling plant is one of the most advanced in Europe and a model for this line of trade. This is corroborated by many certificates, for instance the one for meeting the very strict European WEEELABEX standards. We were the first company in Austria to be certified after a successful audit. Therefore you can have a clear conscience that, at UFH, sustainability and environmental responsibility are reconciled.